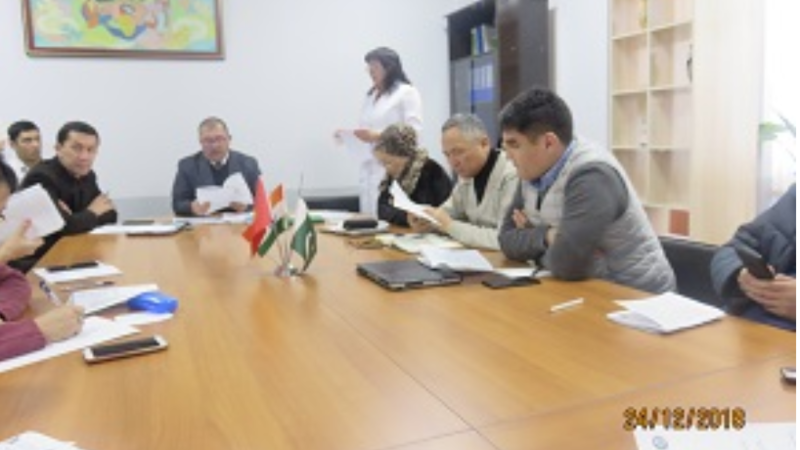 On December 24, 2018, at the Academic Council of the MMF of Osh State University, to carry out the results of the implementation of the research plan for 2018-2019, the reports of graduate students of the Department of Clinical Disciplines 1 R.Sh. Salieva were heard, and Esengeldy K. A. Chairman of the Academic Council of the Faculty of the MMF, Ph.D., prof. Zh.K.Muratov and members of the council expressed their opinions and wishes.